PROBLEM: The Mini Tap Light puts out too little light and drains too much juice! SOLUTION: Replace the crappy little excuse for a bulb with EIGHT bright LEDs. INSTRUCTIONS:First step is to take everything apart and remove the cheap christmas tree light bulb. NOTE: I marked the three pieces, the dome, lid, and base with a marker to make sure I put all the pieces back in the same spot… this WILL help! I used a punch to put holes into the plastic and slipped the LEDs into place. 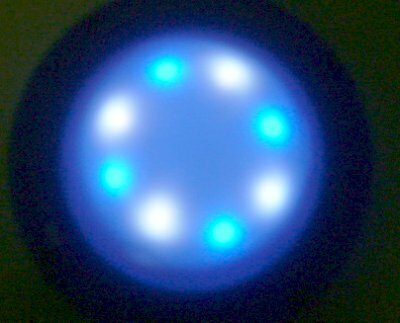 I used a hot glue gun to get the LEDs to stay in place and alternated between blue, white, blue… with all the positive leads in the center. I bent all the negative leads into an outer circle and soldered them all together. I soldered a resistor to each positive leg and had them all converge into the center where I soldered them all together. 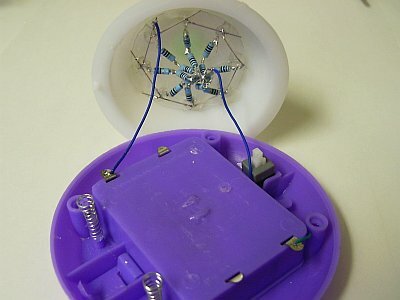 I then soldered some wires from the LED array to the base and switch. Finally I hot clued the assembly to the dome. I guess I could have just stuck it on the base, but I stuck it to the dome so the lights would be right up against the top. 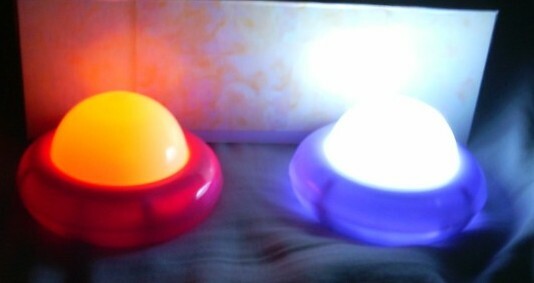 For comparison, here are the two lights side by side. I measured the draw and even though the new LED tap light is MUCH MUCH brighter, the draw is about the same, even a bit less! The original light on the left draws 160 mA while the light on the right was drawing about 150 mA! 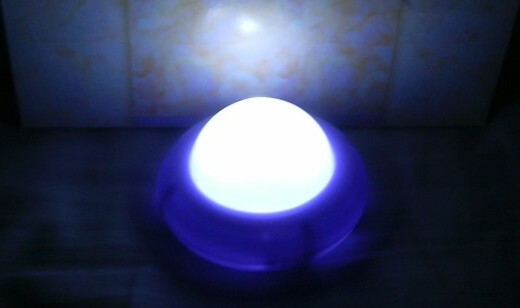 About a week after I made this mini tap light LED mod I ordered some industrial strength glow-in-the-dark powder. 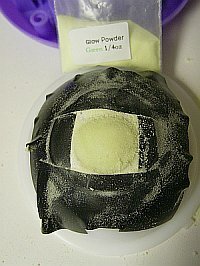 This stuff glows REALLY bright for about 3 minutes and can last up to 10 hours with pretty decent glow. I decided to put a little on the top of this tap light so I could find it in the dark. I created a little stencil and used clear fingernail polish. I laid on a thin layer of polish, dusted it with powder and let it dry. I did this about 5 times and then put a final “clear coat” over the top. 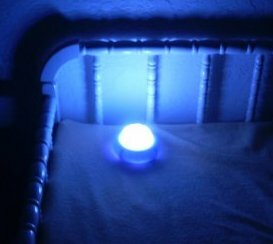 Below is my Emergency Tap Light Modification: This one uses 4 – 5mm blue LEDs and one flashing red 5mm LED. I bypassed the switch for the flashing LED and resisted the current using a 3.3K ohm resistor and a 15K ohm resistor in series. This brought the current down to something like 1.1 ma draw. You can’t see it flash in the day, but it flashes just enough to find the Tap Light if you are in the dark.I thought this would be a great emergency / power out light since you could find it if the power went off. 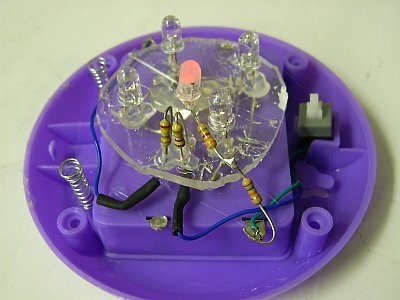 I have been looking to buy about 50-100 very small LED tap lights, ideally 1.5″ish diameter. 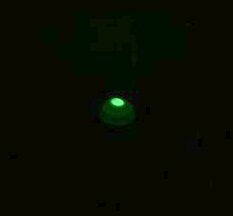 I can’t seem to find any that are smaller than the DOT-it tap light at 2.75″ diameter. You mentioned on another page that people have approached you about custom tap lights. Do you think you would be able to/ be interested in making one like I described? Zoe, those would be great to find / use but I haven’t seen any. 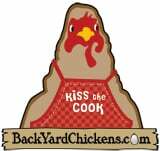 Keep us posted with a link if you find some.